Measuring instruments for pressure and temperature are used in almost all areas of industrial manufacturing. As a result of continuous mechanical, chemical and thermal loading, these instruments age and can therefore not guarantee the correctness of the measured value over the course of time. Through timely calibration, however, the alteration of the measured value can be determined and thus, if needed, an adjustment can be carried out. Furthermore, standards and directives prescribe that the manufacturers must calibrate the inspection equipment which has a direct and indirect influence on quality. Amongst others, this is specified in the ISO 9001 standard. For a better understanding, the concepts of calibration and adjustment are clarified below. To “calibrate” in measurement technology means to determine the measuring deviations in the complete measuring instrument. With calibration there is no technical intervention at the measuring instrument, such as zero adjustment, span and linearity setting, etc. With indicating measuring instruments calibration establishes the measuring deviation between the display and what is claimed to be the correct value of the measurand. For material measurements, for example masses, the measuring deviation is determined by measuring the difference between the marking and the correct value. For measuring chains one determines the deviation between the measured value of the output signal and the value that this signal should have with an ideal transfer characteristic and a given input value. “Adjustment” means setting or alignment of a measuring instrument (also a material measure) so that the measuring deviations are made as small as possible or that the magnitudes of the measuring deviations do not exceed the error limits. The adjustment, therefore, requires an intervention which, in most cases, permanently alters the measuring instrument or the material measure, e.g. repositioning the pointer or fitting a new dial. 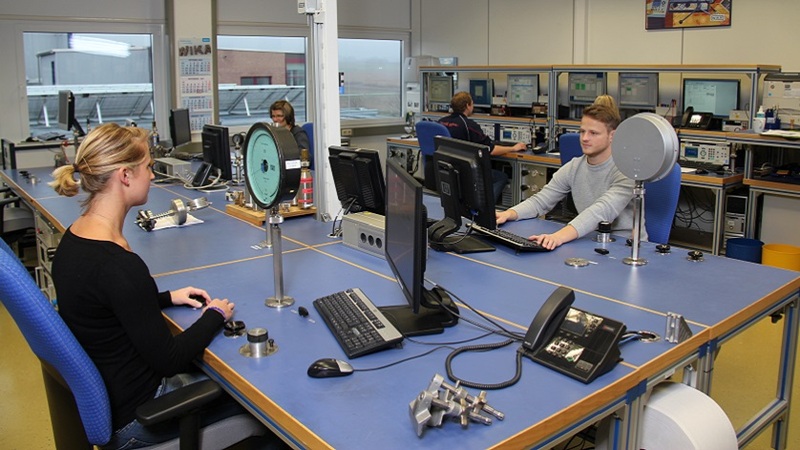 For further details on products and services related to WIKA’s calibration technology, take a closer look on our website.